Manchester United boss Jose Mourinho has revealed that Henrikh Mkhitaryan missed the Reds’ Europa League clash against St Etienne due to illness. 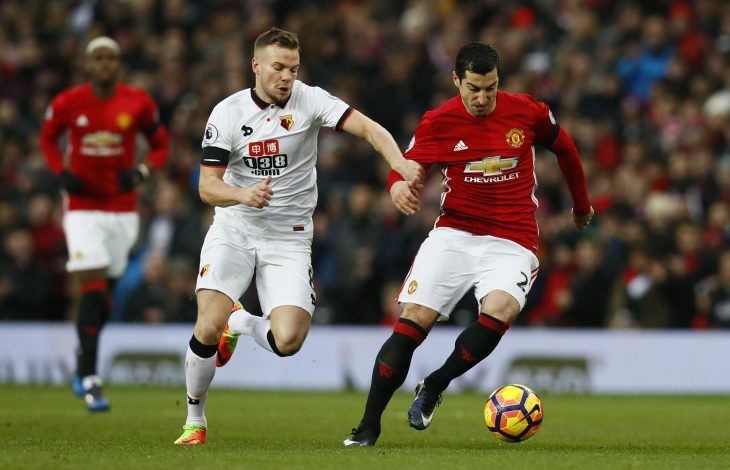 After having struggled with life at Old Trafford early in his Manchester United career, Henrikh Mkhitaryan finally managed to establish himself as a key player during the recent games, which is why it came as a huge shock when the Armenian was dropped from the squad for his team’s crucial Europa League match. With Mourinho omitting Mkhitaryan from United’s starting lineup as well as the substitute’s bench, questions were raised regarding the playmaker’s fitness, but the Portuguese boss has since revealed that the 28-year-old was unavailable for selection due to a minor illness. The former Dortmund man has been in terrific form lately, having already bagged 5 goals, 4 assists, and 5 Man of the Match awards since returning to the Manchester United starting lineup against Feyenoord back in November. However, the Red Devils did not miss their magical midfielder on Thursday night, as a hat-trick from their star striker Zlatan Ibrahimovic helped United gain a 3-0 lead over their French opponents in the first leg of the tie, thereby virtually sending them through to the next round. But Mourinho remains adamant that he will field a strong side for the second leg nonetheless, to avoid any possible shocks in the away fixture. “I don’t want football to punish me so I will go with a strong team in the second leg,” the Portuguese was quoted as saying in his post-match interview.